Thank you to all of the Polamer Precision employees that participated by donating blood and volunteering their time to help the American Red Cross. Polamer Precision sponsored New Britian High School’s Robotics Team at the VEX Robotics Competition held at Choate Rosemary Hall. We were honored with a visit from Polish Ambassador Piotr Wilczek, Consul Sabina Klimek, and Honorary Consul Darek Barcikowski. Ambassador Wilczek toured our facility and learned about our Polish roots. 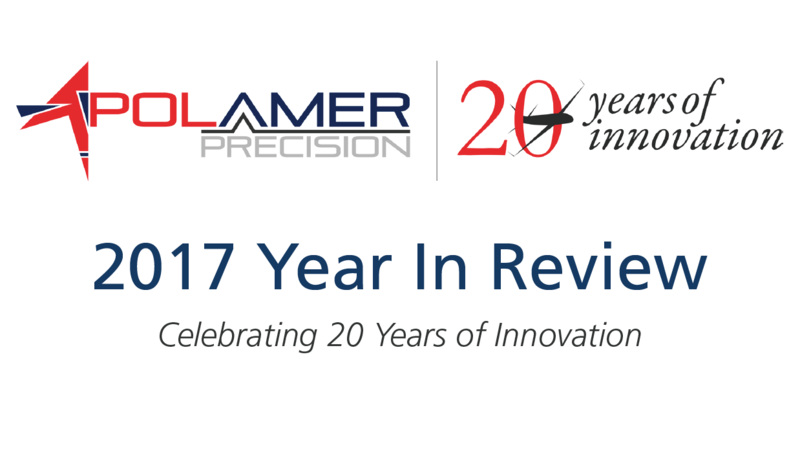 President Chris Galik and Vice President Andrew Dulnik were eager to share their story and Polamer Precision’s vision for the future to be a global leader in aerospace manufacturing. Polamer Precision’s own Ryan Carroll tried out for the New Britain Bees baseball team. We are grateful to have such talented employees. We have been humbled to have received the 2017 New Britain High School “Service to Youth Award” by an organization. Our partnership with the NBHS STEM and robotics program has enabled over 45 students to participate. Special thanks to the executive team for lending a hand and making this year’s picnic a success. Thank you to all Polamer Precision team members who donated back-to-school supplies for children at the Friendship Center in New Britain. Thank you to ASQ Hartford and the attendees for making the AS9100 Revision D workshop a success! Special thanks to Pratt & Whitney Lead Auditor Tim Lepore for indepth instruction and ASQ Hartford chair Bill Forthofer for making this event happen. We honored Mr. Rick Post for his for almost two decades of service and dedication. We are eternally grateful for his contributions which have helped make us the organization we are today. Another year, another amazing Christmas party! Big thank you to everyone at Polamer Precision who donated gifts for charity as well as those who made this event possible. 2017 saw a massive $1M+ annual increase in employee benefits and programs. Key highlights include additional PTO, tuition reimbursement, better holiday schedules, and upgrades to medical, 401k as well as other programs and benefits. We hope these additions and upgrades will make 2018 an even better year for our entire team!